Rear mounted Seed Hopper for best germination – Direct Drive Agitator for most even seed distribution – 22” Width for Highest Productivity. 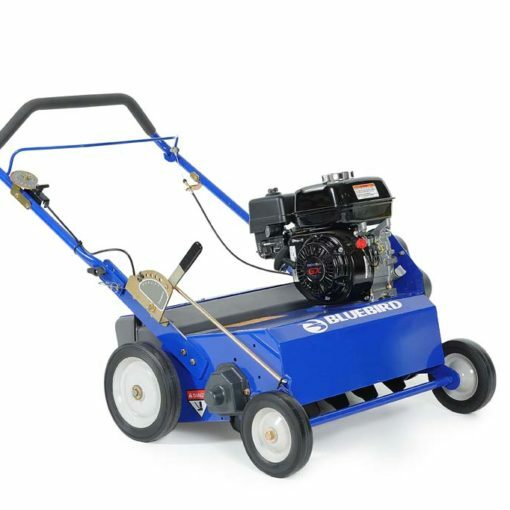 Bluebird Seeders make turf renovation simple and effective. 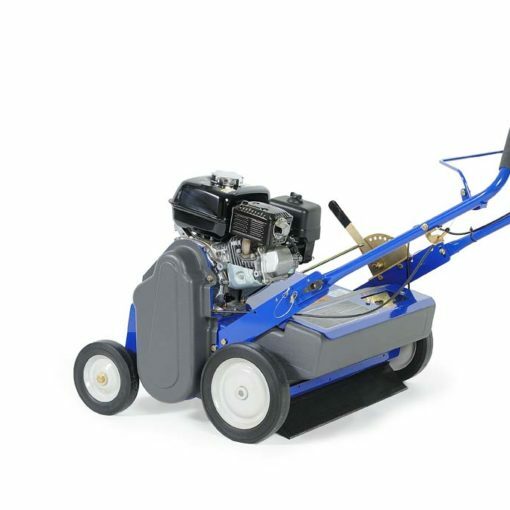 Our rear mounted seed hopper provides the best possible seed germination because the seed is dropped after the turf is tilled by the unit’s delta blade. The seed drop agitator is a belt driven direct drive as opposed to competitive units whose wheel driven front drop units can slip in wet conditions, leaving non-uniform seed patterns.